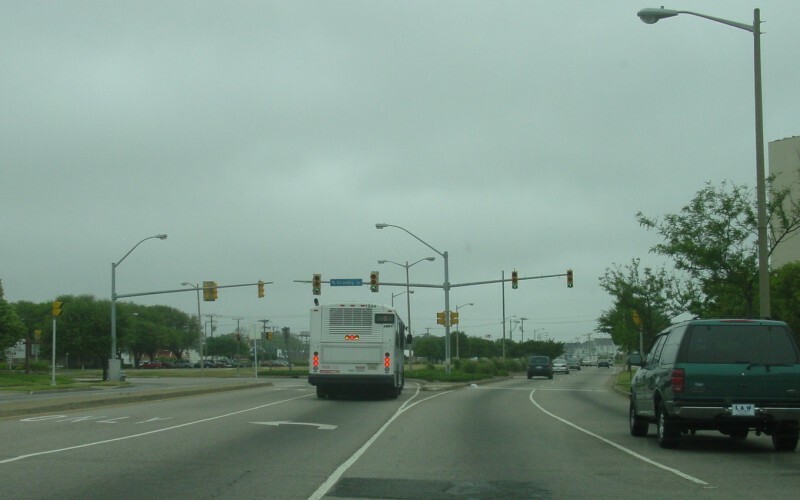 US 460's eastern terminus is at US 60/Ocean View Ave in Norfolk, seen here along westbound US 60. Photo by Adam Froehlig, taken May 17, 2003. Advance signage along WB US 60 just prior to the above intersection. 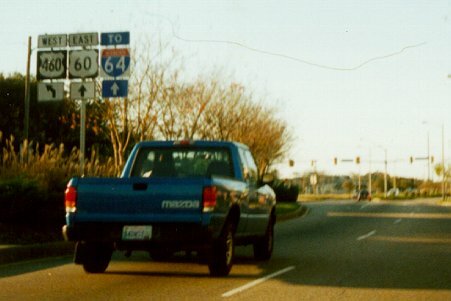 The "EAST" US 60 banner is in error, but has been corrected since this photo was taken. Photo by Adam Froehlig, taken late November, 1999. Looking along eastbound US 60, where the "WEST" banner is missing from the US 460 shield. Photo by Adam Froehlig, taken January 14, 2004.